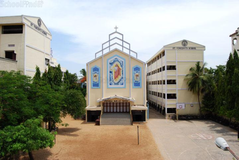 Find below the list of top schools in Kolapakkam - Chennai with phone number, address, 360° School tours, 2018-19 Admission forms & Fees, photos, facilities & more. Every other faculty in Pon Vidyashram ,Kolapakkam, tries to answer each of your child's questions as an opportunity to teach. This process is supported by a carefully structured series of activities considering the varied levels of learning ability of a class. 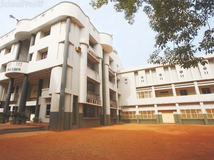 St. Francis International School Chennai is one of the best IGCSE schools, providing the highest quality and truly international standards of education. SFIS holds firm in its belief that students do their best and teaching becomes productive when research is underlined as criteria for the scholarship, systematically guided by dedicated and quality teaching. The school has an impeccable infrastructure for classroom learning and a well-equipped staff of qualified teachers who are deeply conscious of their stellar part that they play in not just teaching students but in shaping and molding the citizens of tomorrow. SFIS holds firm in its belief that students do their best and teaching becomes productive when research is underlined as criteria for scholarship systematically guided by dedicated and quality teaching. Safety and security are the keywords in SFIS campus so that fear and anxiety are kept away from the minds and hearts of every member of the SFIS community. 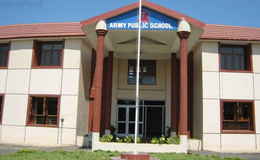 Mangadu Public School emerged on the auspicious day of Vijayadashmiat the early beginning of the year 2011 with about a handful amount of future. 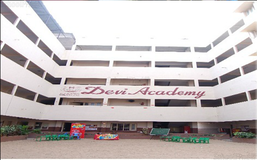 The school is equipped with well qualified & experienced teachers with good in-service training at regular intervals. Apollo Educational Group is a prestigious group which has made a significant contribution towards the development of students into highly accomplished professionals. The Group delivers exceptional education across all branches. An experienced faculty with excellent subject knowledge and incisive wisdom, top class infrastructure that encourages in-depth learning and exposure to practical situations make an Apollo student a most wanted and highly valued professional. 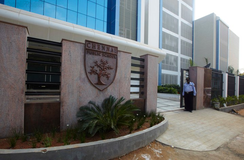 Excellent infrastructure facilities are in place to enhance the learning experience. Technology and facilities are constantly upgraded to bring the best and latest to the students. Apollo Vidyashram believes that all students behave the best when they have a high level of self-esteem and where achievement, success and good behavior and recognized and rewarded. Although there are many top schools in Kolapakkam - Chennai it is not necessary that each one is suited to your child's needs. That is why you need to analyze and consider every factor about the best schools in Kolapakkam - Chennai before settling for one. 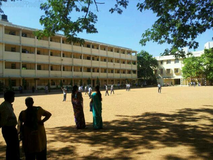 Sqoolz's list of best schools in Kolapakkam - Chennai makes this job easier for you. Find every detail that is necessary before choosing the right school. You can also take our virtual tour, a feature solely designed to give parents a sense of assurance.